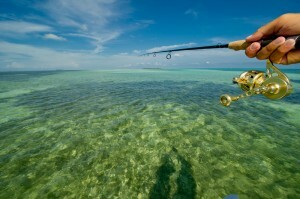 Fishing The Flats East Of Key West. Capt. 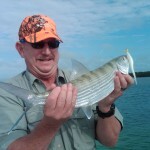 Steven Lamp Veteran Key West Flats Fishing Guide.The shallow flats that surround the Florida Keys and Key West are filled with sport fishing opportunities for the dedicated angler. 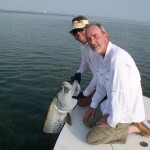 The “Big Three” the Key West “Grand Slam” are tarpon, permit and bonefish. The sport fishing anglers holy grail. It can all be found here in Key West in less than 3 feet of water and as shallow as 8 inches..
Mike here fishing with me on Saturday with a nice Key West Permit. He was fishing on my All In Wonder Fishing Charter. 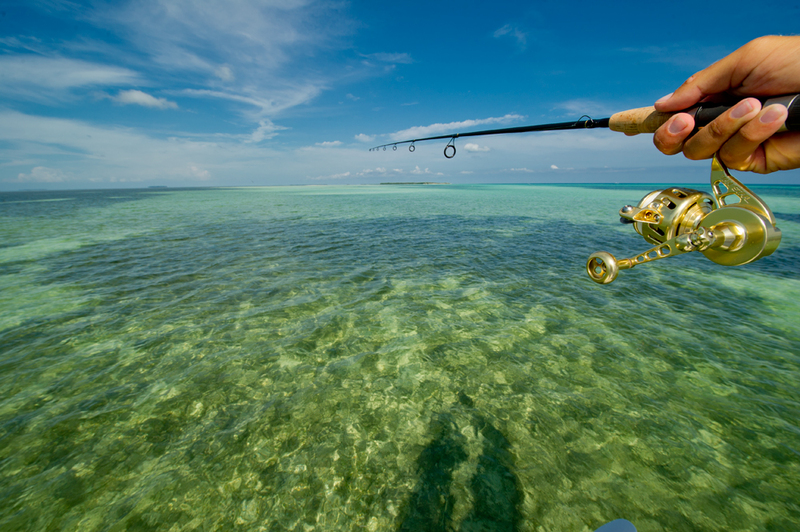 Flats Fishing will combine two of your favorite sports.. Hunting and fishing. Sneaking up on fish and making the cast as he looks you in the eye we feel the sight fishing aspect is the most intense part. Flats fishing is not for the impatient or novice angler. If you want to fish the the flats and your skills need honing.. try backcountry fishing. We offer 4, 6, and 8 hour flats fishing charters for not more than 2 persons. Anglers can use fly fishing gear, light spin fishing gear or bait casters. Live bait, small jigs, plugs and flies are the means of catching flats fishing species. Flats fishing charters are very custom. When you call to book your trip, tell us as much as you can about what your fishing experience is. This will help us place you with the right fishing guide and equipment. Check out our rates page for more information about flats fishing costs. 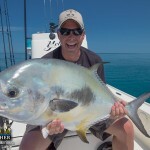 To Book A Flats Fishing Charter Or Ask More Questions.